Imagine that you found this great new band sharing their music on BitTorrent for free. You’re actually so excited about this find you want to share the experience with friends, so you paste them a link to the official torrent file via Windows Live Messenger. Although this might sound like a good idea to some, Microsoft appears to disagree. 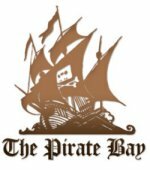 Those who try to paste a Pirate Bay link to their friends through Windows Live Messenger will notice that it never reaches its destination. Instead, Microsoft alerts the sender that The Pirate Bay is unsafe. Apparently, the company is actively monitoring people’s communications to prevent them from linking to sites they deem to be a threat. It's the right thing to do, imo. This is exactly the same as the "gmail man" video. They are sniffing in your private conversations to censor the content, it doesn't matter if it's done by a bot, or a real person, they are directly attacking your private life. Every person who agrees with this stupid behavior should be sent back to where they belong: Salem, 1962.